Local luxury sports car brand Aston Martin and the Chinese technology company LeEco have announced they have signed a memorandum of understanding towards the creation of a partnership that will develop a production version of the Aston Martin RapidE electric vehicle concept, which could get to market by 2018. The RapidE was unveiled as a concept car late last year. 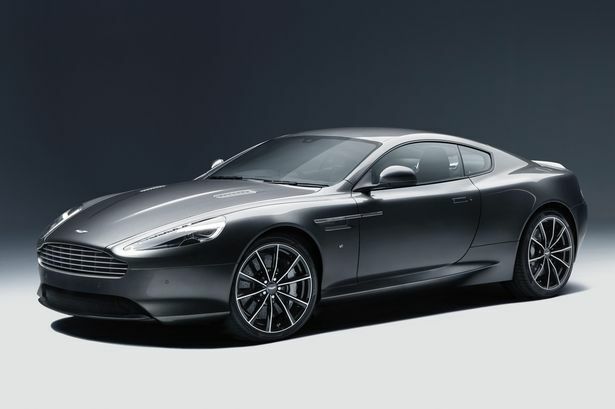 "It brings Aston Martin&apos;s electric car project forward" said Aston Martin Chief Executive Andy Palmer. LeEco, formerly known as Letv, is a Chinese consumer electronics firm offering a range of services, including smartphones and a Netflix-like film-streaming service. Aston Martin has already collaborated with LeEco on in-car entertainment systems and connectivity for the Rapide S.
In addition, this new joint venture plans to collaborate with Faraday Future, the start-up electric car firm backed by Chinese billionaire Jia Yueting, the firms said. China&apos;s government is promoting electric vehicles (EVs) to improve air quality in China&apos;s polluted cities and this has helped the EV market in China become the biggest in the world. A range of Chinese firms are now trying to develop smart EVs, including BYD, Harmony Futeng, Alibaba, Baidu and LeEco. It&apos;s anticipated the partnership will see the two companies working together in bringing the RapidE to market in 2018 using technologies from both firms, with the potential for adding a range of connected EVs for Aston Martin, LeEco and - it seems - Faraday Future. This new signing extends the existing collaboration between the two companies. Aston Martin and LeEco now appear to be focusing. Aston Martin&apos;s chief executive Andy Palmer said: "Aston Martin are dedicated to developing a range of cars with low emission technologies. "We have been encouraged by the project speed and technical depth shown by Letv in the development of the RapidE concept towards full production. "Bringing the RapidE to market by 2018 is an important milestone for both companies." Aston Martin is a small, cash-strapped firm so it&apos;s no surprise it is looking to partner with other companies to share the cost of bringing EVs to market. The tie up with LeEco builds on the earlier co-operation between the two firms and may indeed help speed up development of EVs for both firms. The Chinese government is also pushing for EV development hence the move by LeEco. But the potential tie up with Faraday Future (a subsidiary of Beijing&apos;s Leshi Internet Information & Technology Corp) seems much more questionable, as it&apos;s not actually clear what Faraday can deliver. There&apos;s been a lot of hype around Faraday but little in the way of actual delivery. There&apos;s a lot of uncertainty for example over the firm&apos;s proposed new plant in Nevada, with the state appearing to want US$70m in security from the firm in return for state investment. And, while Faraday unveiled a &apos;concept&apos; car at the recent Consumer Electronics Show in Las Vegas, based (it claimed) on a scalable ‘Variable Platform Architecture&apos; that could underpin a range of cars – so far it has yet to unveil a functioning prototype. How far the Faraday tie up will actually help Aston Martin is open to question, unless Faraday can show it can bring serious funding to the table and/or new platforms for EVs to be used by all three firms.